Ok, so this one’s definitely not music, but it still has a place here. Growing up with my great grandparents, pop music wasn’t really a thing. The radio was pretty securely tuned to either the CBC (which I would grow to love over time), and a northern Michigan christian radio station. In the basement, they had a pretty sizable vinyl collection, which mostly consisted of gospel records (which kind were a bit heavy for my young self to think of as a fun listen), and country records (I didn’t understand the appeal then, and I don’t understand it now). Nestled in between all of this was one oddity. 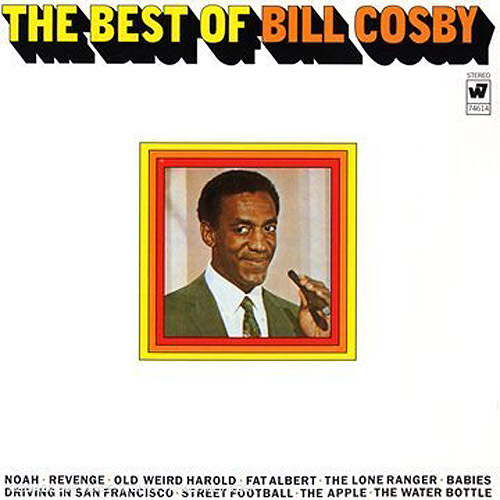 A Bill Cosby compilation album. Needless to say, as the one album that dared to be different, I gave it more than a few listens though. From start to finish, the album provides this relatively wholesome brand of comedy that I still get a solid laugh out of to this day. While “Driving in San Francisco” gave me an early glimpse of what it would be like to drive a stick shift, and “The Lone Ranger” really made me feel for Tonto, it’s always been “Revenge” that gets me every time. It’s a track that’s all about the setup. Cosby paints the perfect picture of a kid who’s been grievously wronged (a slushball to the face), and his quest for sweet retribution. I’ll still call the odd person “gunky” as an inside joke with my 9 year old self. I’m still hoping someone else will get someday. So yeah….not music, but it was the first album that had me sitting on the floor, and listening to on repeat. That whole idea seems pretty “rock and roll” to me.